Wishing all my lovely friends and readers a very “Happy Navaratri”. Navaratri is a festival dedicated to the worship of Goddess Durga. 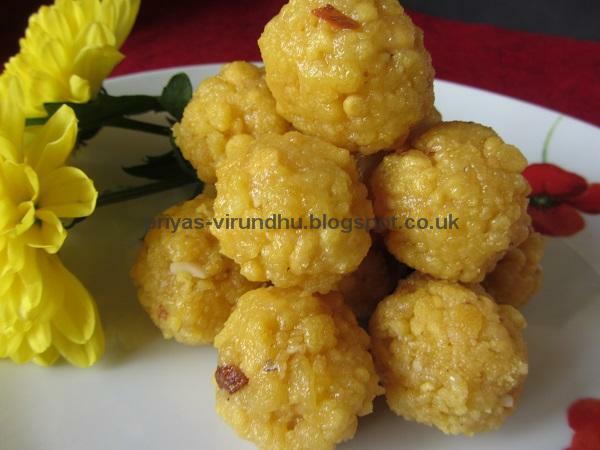 Navaratri means nine nights, during these nine nights and ten days, nine forms of Shakthi are worshipped. 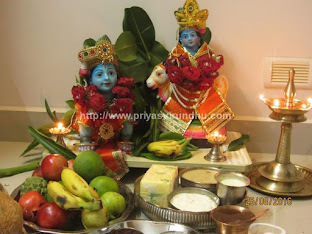 In Tamil Nadu, Andhra Pradesh and Karnataka, a special display of dolls and figurines (Golu) in the odd numbered steps (padis) will be held in the houses and temples. 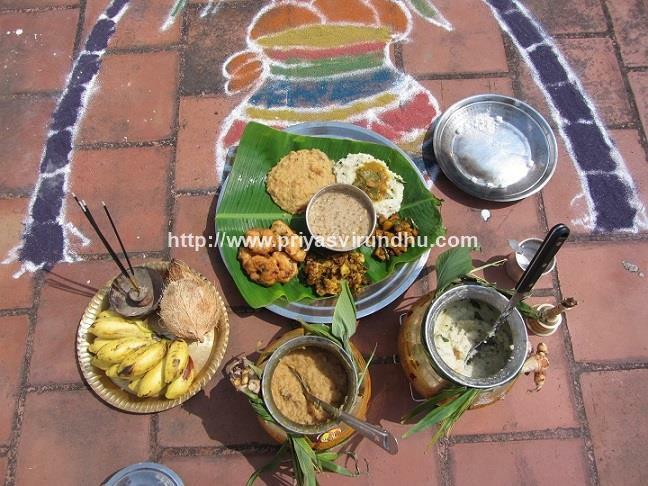 This year Navaratri is celebrated from Oct 5, 2013 to Oct 13, 2013. 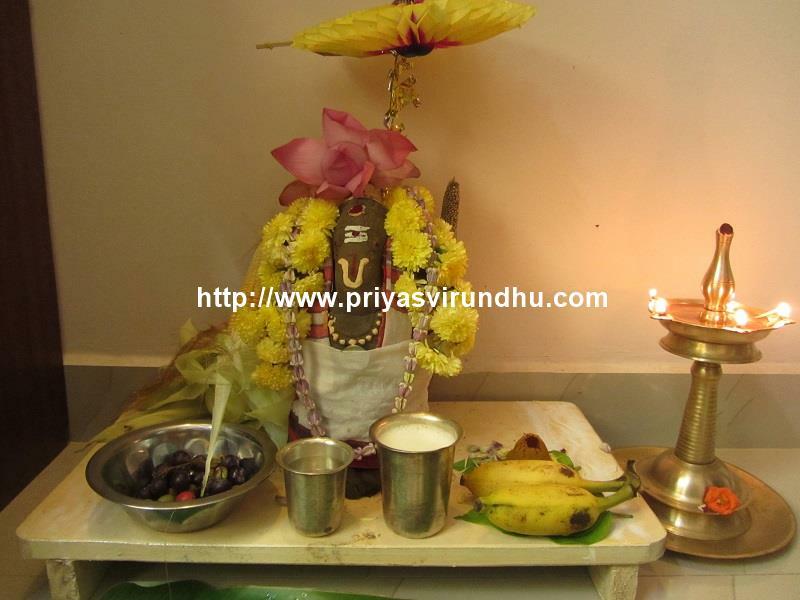 All these nine nights special poojas are performed and neivedhyams like sundals and payasams are offered to the Goddess and distributed as prasad to all the family members and to the guests visiingt our house. 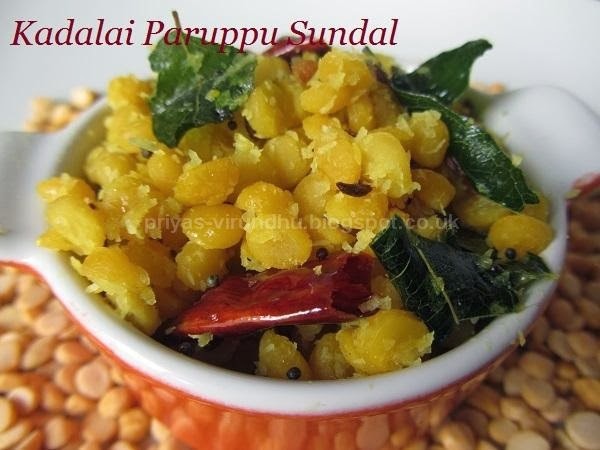 Today being the first day of Navaratri, I am sharing a very simple, quick and easy paasi paruppu sundal/moong dal sundal with you all. 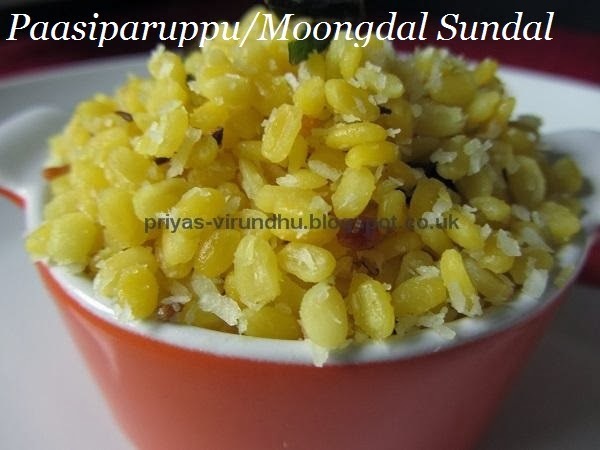 Check the other sundal varieties and payasam varieties here. 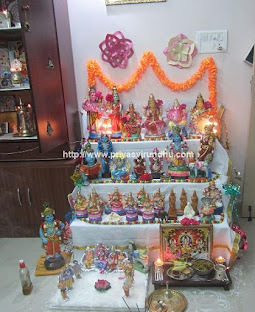 Please click on Navaratri Specials for more details about Golu and Navaratri celebrations. 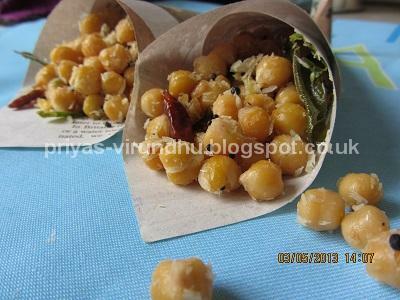 We make different varieties of sundals as neivedhyam during Navarathiri. 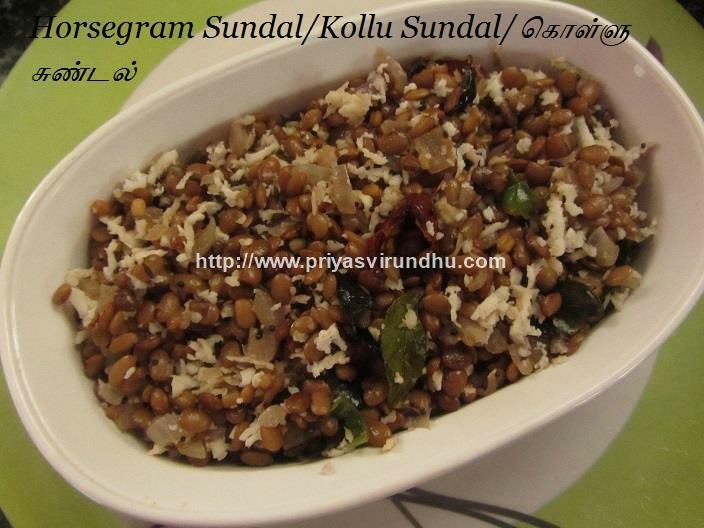 Each day one type of sundal is prepared and offered to goddess and given as prasad to friends and families. 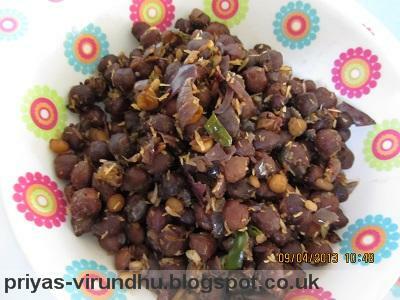 Kadalai paruppu sundal is a very easy and healthy sundal which can be prepared very quickly and offered as neivedhyam or as a healthy evening snack. 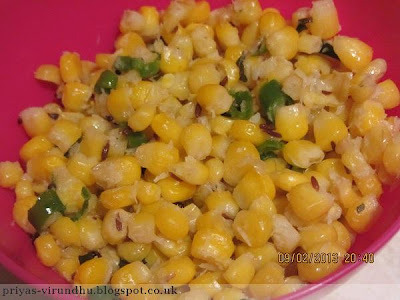 Do check here for other Varieties of Sundal. 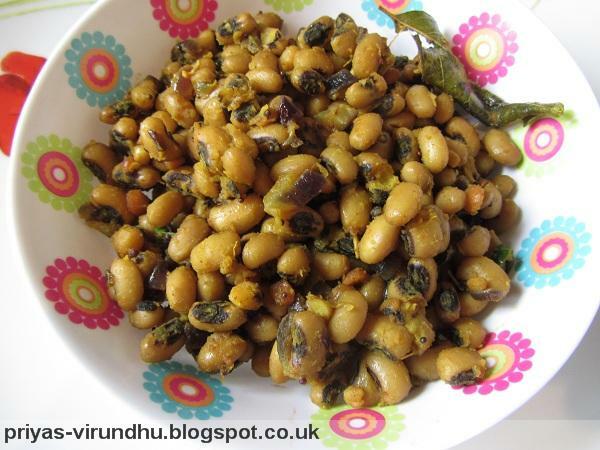 Here’s how to make Kadalai Paruppu Sundal with step by step photos….